With growing interest in the file systems developement space, we've dedicated an entire section of OSR Online to related endeavors.? From FAQs to articles specific to file systems or file system filter drivers, return here for the most pertinent information. If you're a Windows file system or file system filter driver developer, this section is for you. Finding useful technical information in the Windows file system development space is difficult. If the information IS out there, it's sometimes difficult to track down. Here, we provide an FAQ of common questions to help. If you have suggestions, please feel free to add comments! OSR and Microsoft are teaming-up to offer special discounts to Plugfest 18 attendees. Are you fuzzy on the NTFS concept of "streams" in files? This article explains streams and how they're used. This article describes a problem that we have observed multiple times in file system filter drivers. It arises because of the way older versions of SFILTER (in the IFS Kit) were implemented. Newer versions do not behave in this fashion and do not exhibit this problem. This article describes how Windows file systems that support security go about assigning a new security descriptor during the processing of IRP_MJ_CREATE. This article is not intended to be a comprehensive description of all the steps, but rather a basic review of how a file system handles it. Now that the Filter Manager model is no longer confidential, we've started making notes of our experiences with it. This article discusses installation of Filter Manager based file system filters and some of the things we've learned in that process. This article describes the way that Win32 maps file creation options to the underlying Windows file creation options. A periodic question in the NTFSD mailing list is to describe the process by which files are deleted. This article describes the basic model used by the Windows file systems for file (and directory) deletion. This article discusses the issues of caching in the RDBSS package which is used by RDR2. 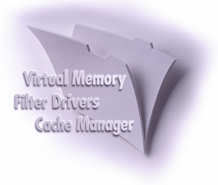 This information is particularly useful for those building file system filter drivers. This brief article describes the mysterious workings of FsRtlCheckOplock. This call is primarily used by file systems that implement oplocks. Typically, this is physical media or pseudo file systems (but NOT network file systems).